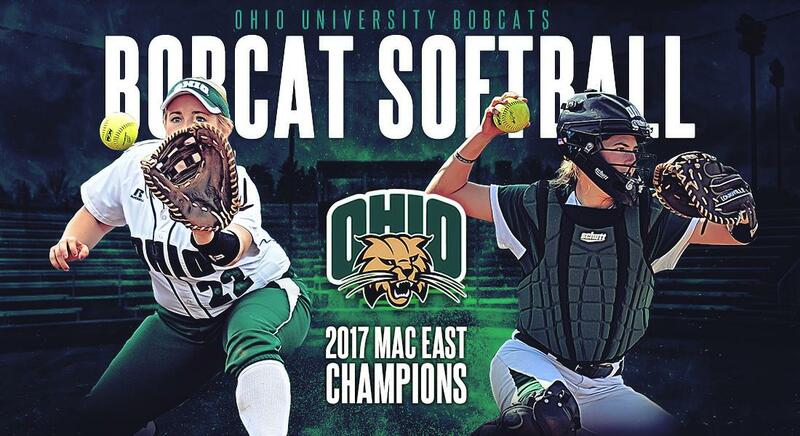 Ohio Softball will be hosting their annual January Jingle camp on Sunday, January 14th, 2018 for females entering 7th through 12th grade at the Ohio University Walter Fieldhouse. The camp will have a morning offensive session from 10:00 am – 12:15 pm, where campers will receive hitting instruction as well as participate in 10 hitting stations including bunting, tees, front toss, live batting practice, and games. Campers will then have a lunch break from 12:15 pm – 1:00 pm where they can depart or stay in the fieldhouse and get lunch on their own. The camp will then resume with an afternoon defensive, where campers will register for 1 position (infield, outfield, pitcher or catcher) where they will receive defensive instruction and participate in drills from 1:00 pm – 3:45 pm. Campers will only be allowed to participate in one defensive position due to the intensity and progressive instruction per position. If interested, campers can also sign up for additional add on sessions; from 9:00 am – 9:45 am there will be a speed and agilities session; and from 4:15 pm – 5:00 pm, there will be a live pitching/catching/hitting session. All campers will have the opportunity to train in the Walter Fieldhouse and interact with the Ohio Softball coaches and student-athletes. Please bring Tennis Shoes or Turfs – no cleats of any form allowed in the fieldhouse. Ohio University Camp Medical Waiver Form (REQUIRED) at check in. Check in will begin at 8:30 am for individuals registered for the agility add on session. Campers will need their medical waiver form at registration. Check in will begin at 9:30 am for the January Jingle Camp (Defensive Position + Hitting Instruction). Campers will need their medical waiver form at registration. Please park in lots 132, 133 or 134 surrounding Walter Fieldhouse. Please view the On Campus Directions to Walter Fieldhouse map attachment to view directions and parking lots. Each camp is open to any and all females entering 7th - 12th grades. Full payment is required at the time of online registration. "In accordance with the NCCA guidelines, all Ohio University camps and clinics are open to any and all entrants, limited only by specified number, age, grade level, and/or gender of its participants." There will be NO REFUNDS for any cancellations. If for any reason, a camper must cancel their camp session, notification must be received 24 hours prior to the start of camp to receive a credit. Campers may credit their fee to a future Ohio Softball Camp. Please notify Brooke Donovan (bd566917@ohio.edu) for any cancellations.